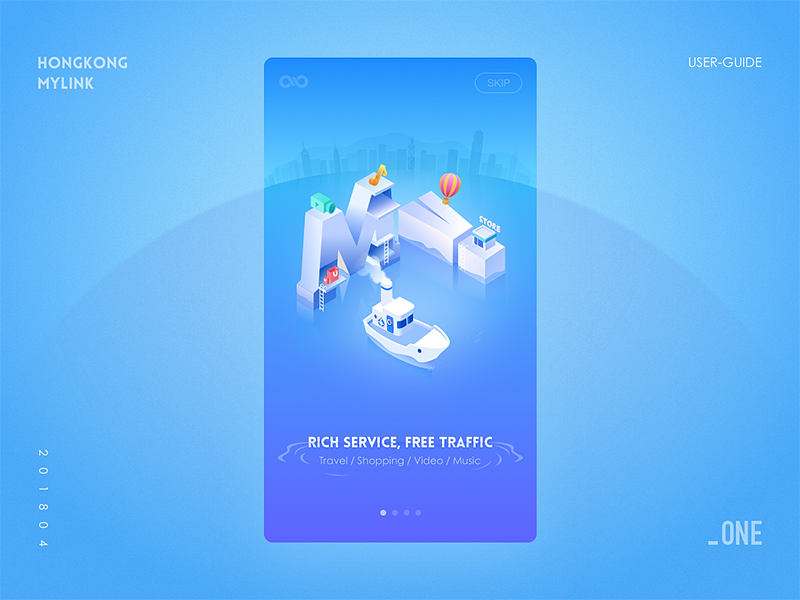 MyLink, an app designed for Hong Kong Mobile on the theme Victoria Harbour, symbolizes mobile connected life. Take the yacht tour of Hong Kong as the plot line to show that the application is interconnected with the lives of the common people. Use the pure blue sky and the blue of the sea, focusing on the MyLink theme. I will continue to post the remaining design pages later. If you like, feel free to leave a message.